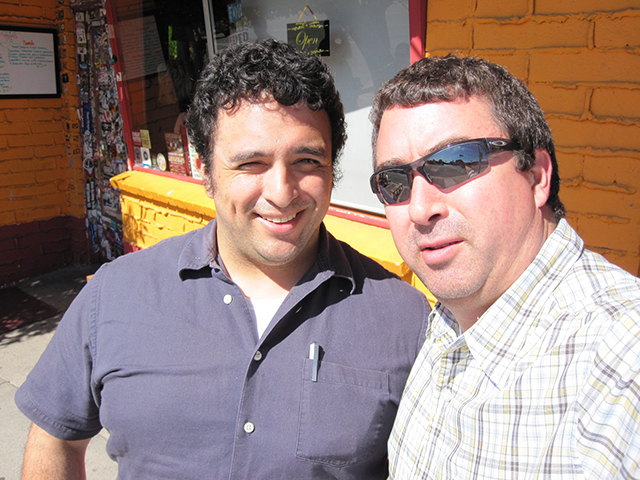 Going back to fall of 2009 for this week’s Throwback Thursday when fellow blogger and TequilaCon Party Pal Vahid, also known as Iron Fist on the social media scene, made a work visit to Salt Lake City. And since it had only been half a year since I last saw him in Santa Fe, New Mexico, it was nice to hang out with him for a lunch at Red Iguana – a local mexican food place that gets way packed for lunch. I’ve since visited with him a few more times, but admit it’s been way too long in between visits. Must remedy that on my next trip to the Portland Oregon area. Ha, I remember that. I didn’t think it had been so long though but I guess 2009 is about right! Time really flies. It’s so funny because Jenny was in PDX and I had dinner and cocktails with her just last night and we were sending texts to Dave2. I think we will have to think about getting people all together again. Yes, 2009 was a long time ago in the internet age of things. I miss how we all got together back then. Will have to make plans for the future. I’ve never hung out with either of you. Sniffle. I haven’t hung out with a blogger since Ren about 5.5 years ago. Sniffle. I moved my blog a while back, but still haven’t added anything. I don’t know why, but my desire to share faded. Yeah, the TequilaCon events were pretty epic. 5.5 years is a long time for a blogger meet up.